Quick and easy recipes for all your Mexican favorites! Love Mexican food? Did you know you can make your own delicious salsas, tacos, and enchiladas in your own kitchen--without hours of prep and hard-to-find ingredients? 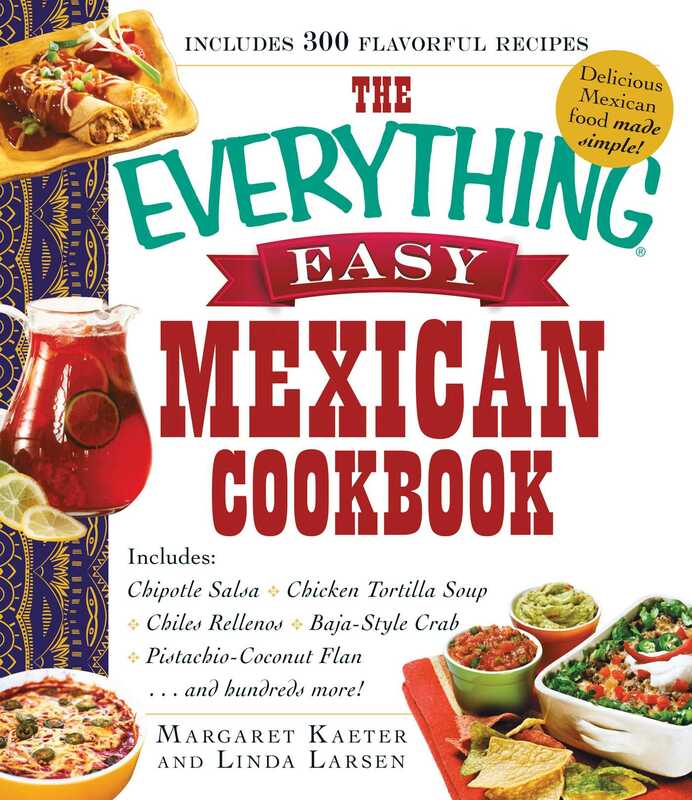 With The Everything Easy Mexican Cookbook, you'll learn how to re-create classic Mexican dishes right at home, with 300 recipes that can be made any weeknight. Fiery chili, cool guacamole, crunchy tostados, and more get an easy-to-prepare makeover without sacrificing the flavors you love--or your budget. This cookbook will have you in and out of the kitchen fast with foolproof meals your whole family will love--it's the whole enchilada!